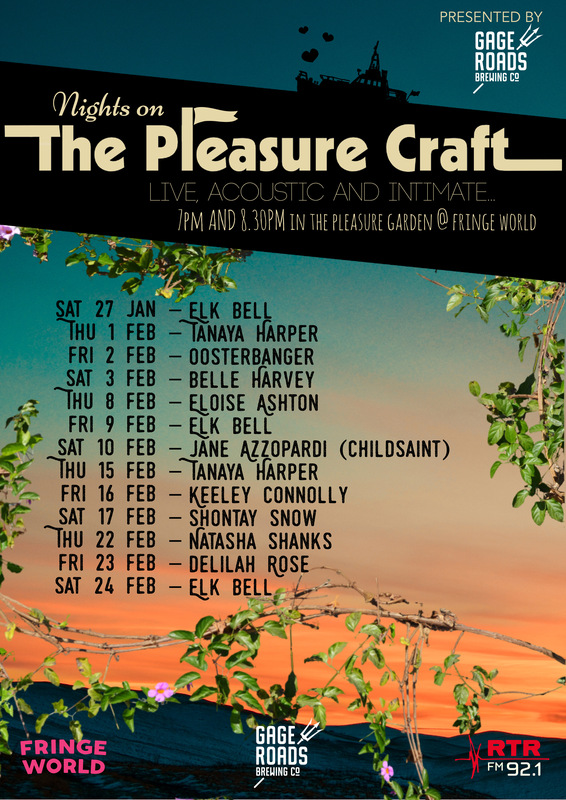 Set sail with RTRFM on The Pleasure Craft during Fringe World. Thanks to Gage Roads Brewing Co, over the weekends in The Pleasure Garden, bask in unplugged and intimate sets from local musicians in the majestic surrounds of The Pleasure Craft. With sets at 7:oopm and 8:30pm, take a moment’s peace in an ocean of Fringe activity, just look for the boat in the Pleasure Garden.